Buriganga Riverkeeper always initiates participatory approaches to mobilize community people with organization’s activities and overall river protection efforts. To engage social organizations and local people of all the wards/unions along the riverbank, Buriganga Riverkeeper has been organizing activities throughout the year. 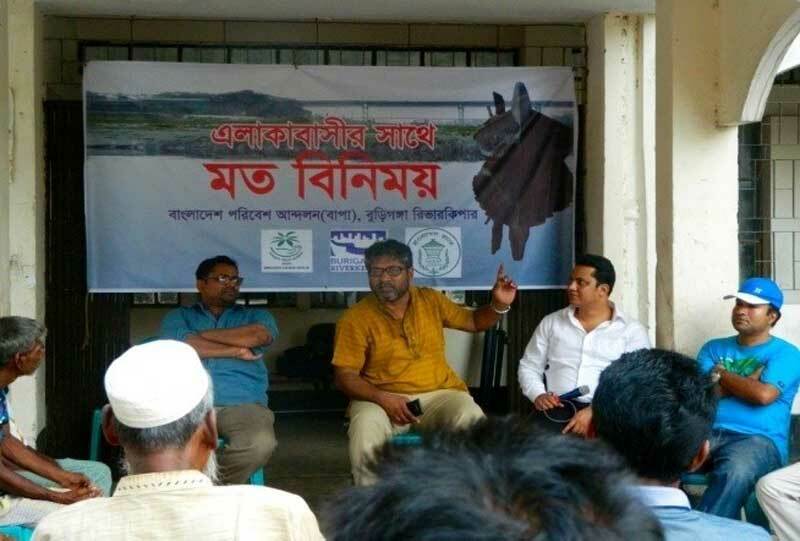 As a part of this initiative, Buriganga Riverkeeper organized a consultative meeting with the community people and social organizations along the riverbank in Ward no 33, Basila, Mohammadpur; on April 17, at 4:00 pm at Basila (Old) Govt. Primary School premises. In the meeting people from different professions, social and cultural organizations by the bank of Buriganga participated. Sharif Jamil, Buriganga Riverkeeper and Joint Secretary, Bangladesh Poribesh Andolon (BAPA) was the moderator of the meeting. Abdul Karim Kim, Surma River Waterkeeper; Manabendra Deb, Program Officer, Waterkeepers Bangladesh; ASM Rejuan, Field Operations Personnel, Buriganga Riverkeeper; Dr. Samia Saif, Research Fellow, BCAS; D.M. Saklayen, President, Janasartho Foundation; Abdus Salam, Member, Basila United Club; Manik Bepari, President, Basila School Managing Committee; Sunil Chandra Rajbongshi, Temple Committee representative; Ratan Rajbongshi, fishermen representative, Md. Imraz Hossain and other from the community were present on the occasion. 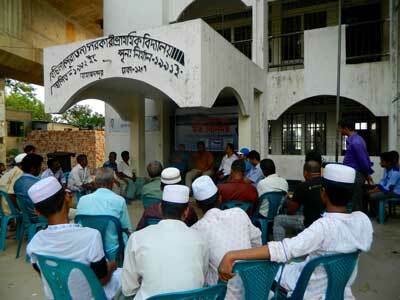 Buriganga Riverkeeper discussed on the issues of the River Buriganga. He requested the local people to step forward for protecting the River Buriganga. The representatives from local community also spoke on the occasion and expressed their willingness to provide continuous support to Buriganga Riverkeeper for river protection activities. The consultation meeting was followed by the projection of “Padma Nodir Majhi”, a feature film on river and life.